I found a new favorite knife! I first tried my ceramic knife to chop green onion and automatically I knew this would become my favorite knife. The knife is very light, but extremely sharp, so it cuts very smooth and consistently. The knife glided through boneless chicken and was great for other vegetables as well. I’m going to have to buy my husband one so he can chop at the same time as me. We keep fighting over who gets to use the ceramic knife. 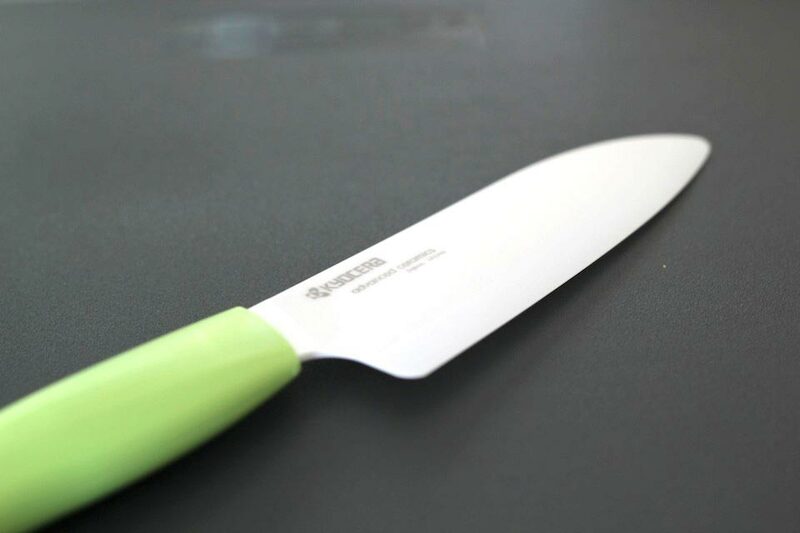 The ceramic knife is ideal for straight cuts of fruits, vegetables, and boneless meats. It’s NOT made for crushing garlic, carving, prying, boning, and cutting frozen foods and cheeses (use your steel knives for those tasks). Also, it’s good to use on wood or plastic cutting boards, but not on marble or stone surfaces. It is ceramic so it will break if used incorrectly. They won’t rust and they’ll last 10 times longer than steel blades as long as you follow the directions. And, don’t drop it! I wish I would have checked on Amazon.com sooner. They have lots of different sets on sale! I’m thinking of adding a pairing knife to my ceramic collection. Here are some sets you can check out!